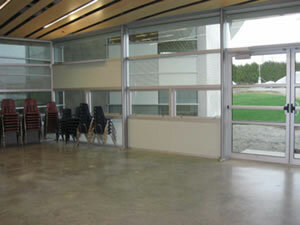 The new Sunset Community Centre opened its doors to the public on Monday, December 17, 2007. The 30,000 sq ft stylish structure was designed by Bing Thom Architects and was built by Haebler Construction Ltd. at a cost of just over $12 million. Funding for the project came from the Government of Canada, the Province of British Columbia, the City of Vancouver, the Vancouver Board of Parks and Recreation and the Sunset Community Association. The striking new facility, 20% larger than the old centre, boasts a uniquely curved roofline resembling a five-petaled flower when viewed from the air. 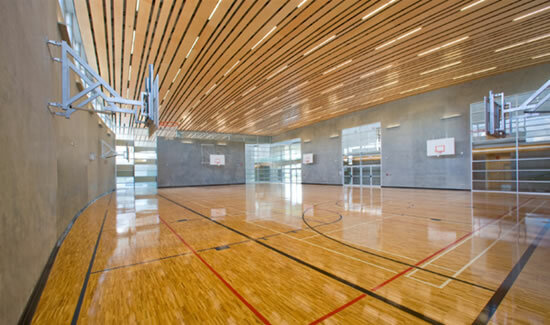 Major programmable space includes a full-sized gymnasium featuring a hardwood floor and ceiling, two multipurpose rooms, a fitness centre, aerobics/dance room, arts and crafts room, youth room and two preschools. As well a new passive park space to the south of the building has been created.